Yesterday, when I got up it was a lovely morning, sky full of clouds and as I took tea it stared to rain. I really enjoyed my bed tea - which wasn't in bed indeed - meanwhile a tempt for sweet tooth started to butter flying in my stomach. ahhh I wish I'd had a crispy cookie or chocolate muffin or a soft slice of sweet cake at least. 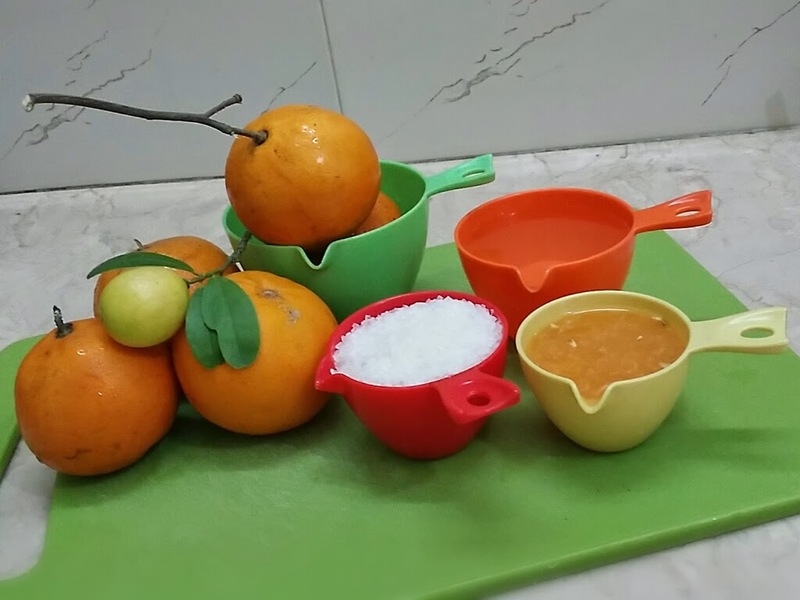 To fill my hunger for sweetness I hurried to my kitchen and opt for the ingredients to make something yummy and what I got was half a dozen of oranges. But how could it be used to make something sweet ?? (0_0) !? What frightened many naives for baking is the exact measurement, but it not as big deal as it seems. Many time people follow all steps carefully but the baked good doesn't turn up good. The reason is people ignore the minors, yea you got it right ..minors ... there are few more thing to keep in mind and to follow while baking scrumptious food goods. 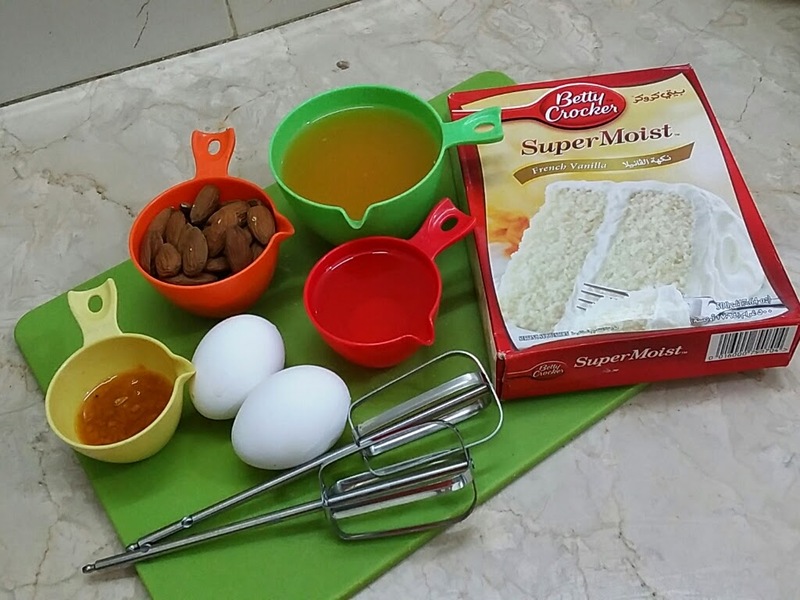 All ingredients should be fresh, use standard measuring cups and spoons, use preheated oven, use dry neat and clean pots to prepare mixture there should not be any extra drop of water, mix wet ingredients and dry ingredients separately and that all. Following these minors would never disappoint you. Other solution is to use a ready to bake dry ingredient mix, you can found many ready to bake good at any super store. What I suggest Betty Crocker is the best, it comes in many verities from simple sponge to black forest. I'm suggesting this because I'm going to use it in my recipe. The only reason for using it "testing the ready to bake product" and the result was very good, cake was so soft, spongy, fluffy and yummmy off course. The pack I had was vanilla flavor as I was going to make some orangy bites so I added orange juice and water half and half required for the recipe. If you too want to use a ready to bake mix then just replace all the dry ingredients with the dry mix, rest of wet ingredients will remain the same. First of all turned on the oven to preheat it, set it at 180*C or 350*F.
secondly, line a baking pan with glaze paper, butter paper or aluminum foil which ever you have in hand and grease the lining with oil or butter, and set aside in cool place. Beat the eggs in a large dry bowl on medium speed for 2 minutes or till you get soft peak and fluffy appearance. you can clearly see the difference between these two stages, pale yellow colour will convert to off white. Add orange juice and mix for once. Add dry ingredient mix gradually to the eggs and beat on slow speed, when all the mix is in then beat for 1 minute on high speed. Add orange rind and chopped almonds and beat for once. Don't run spoon in the mixture otherwise it will release the air trapped while beating. Immediately pour the mix in the baking pan, and put it in the preheated oven and bake for 30-40 minutes, check it after 30 minutes with a tooth pick or knife leave for other 10 minutes if necessary. Remove from oven and don't try to take out from pan at once rather leave it on rack for 1 hour to drop its temperature to normal then remove it out. 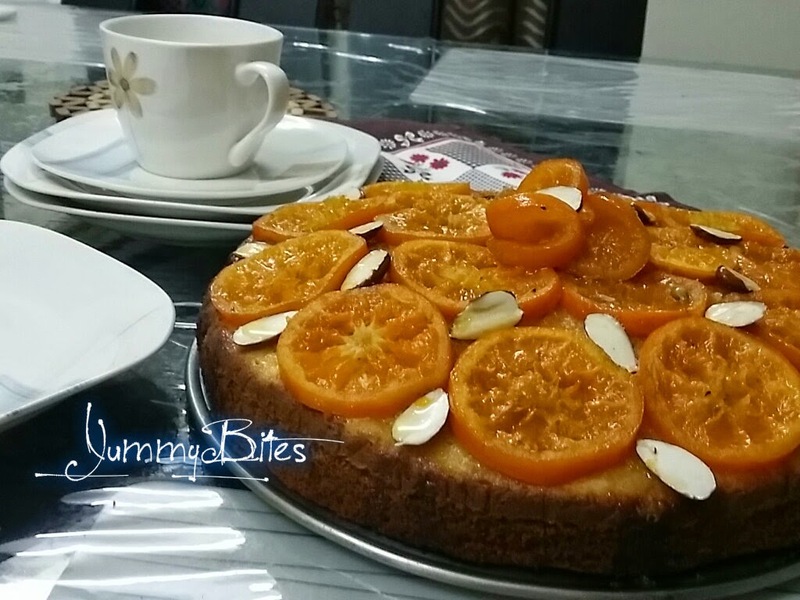 Meanwhile, cake is cooling down prepare the orange glaze, cut the oranges in thin slice, not paper thin but not thick more than ¼ inch. Boil the water, orange juice, lemon juice and sugar in nonstick pan, put the orange slice and let it simmer for 5-7 minutes. 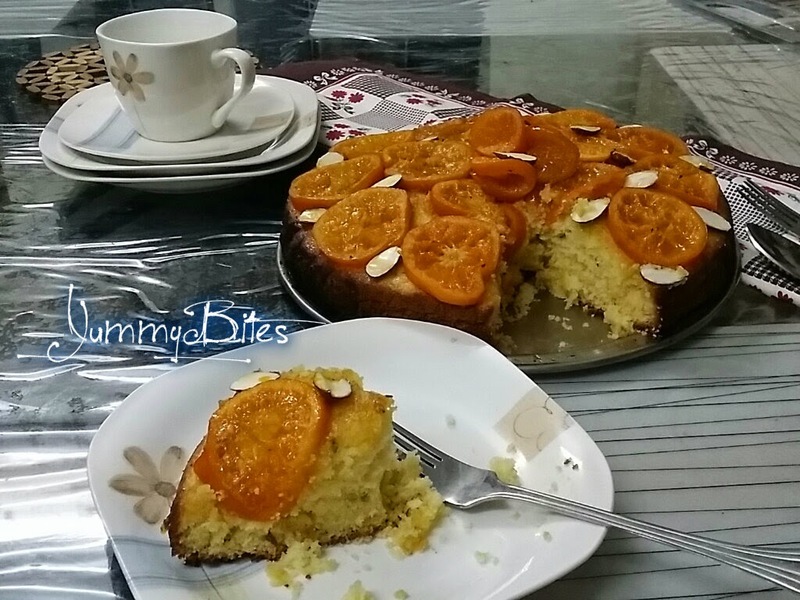 Time for the best part The Garnishing, Place the glazed orange slices over the cake or anyway you like, add some almonds and pour the remaining glaze over the oranges and cake to fill up the uncover little spaces. Serve it with tea or coffee and enjoy sweet + tangy orangy bites.